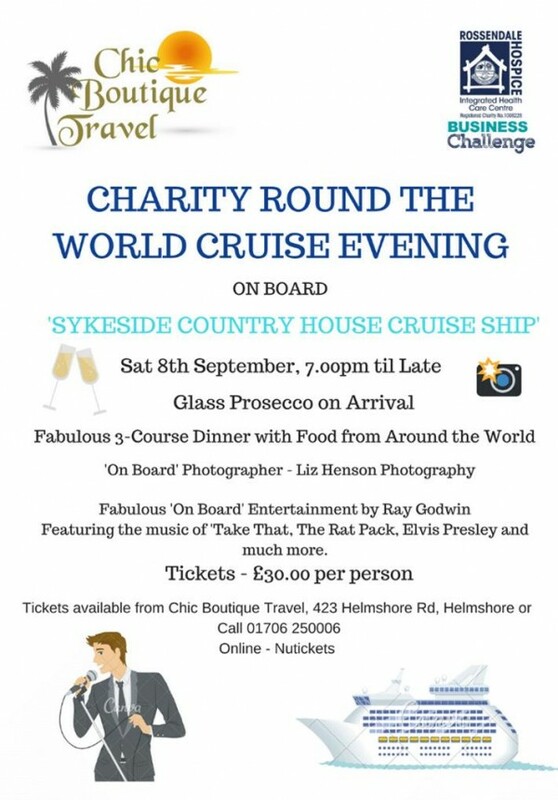 Chic Boutique Travel are taking part in the Business Challenge and hosting a 'Charity Round the World Cruise Evening' which invites you onboard the Skyeside Country House Cruise Ship. Fabulous 3-course Dinner with food from around the World. Fabulous 'On Board' Entertainment by Ray Godwin Featuring the music of Take That, The Rat Pack, Elvis Presley and much more. To get your tickets click here (booking fees apply) or drop into Chic Boutique Travel, 423 Helmshore Road, Helmshore or call 01706 250006.